We are so happy to tell you that we’ll be joined by Akenya at our 4th Annual Party! Akenya is a multi-genre singer, pianist, composer, and arranger. Her music places a strong emphasis on jazz and incorporates elements of hip-hop, funk, pop, classical, and world music. A proud Chicago native, Akenya has performed and recorded with some of the city’s leading artists such as Smino, Saba, and Grammy®award winning Chance the Rapper. In 2016, Akenya joined forces with emerging rapper Noname, appearing on her acclaimed debut album Telefone and touring as her musical director and opening act in Europe, the Middle East, and North America. After appearing with Noname on her Tiny Desk Concert, Akenya was asked to contribute vocals to Chicago legend Mavis Staples’s 2017 record If All I Was Was Black. While recording at the famous The Loft Recording Studio, Akenya worked closely with the album’s producer and writer, Jeff Tweedy of Wilco. As a solo artist, Akenya’s unique sound and versatile musicianship has garnered the attention of top tier publications such as The Chicago Tribune, The Fader, and Afropunk. She has performed her original music across the country and abroad. In her home town, Akenya has played nearly every major venue including Bottom Lounge, Lincoln Hall, and Metro. Last fall she made her solo festival debut with a stellar set at North Coast Musical Festival. Akenya is currently working on her highly anticipated, debut LP, Moon in the 4th. Her newest single Decay is out now and can be streamed, downloaded, and purchased anywhere music is available. 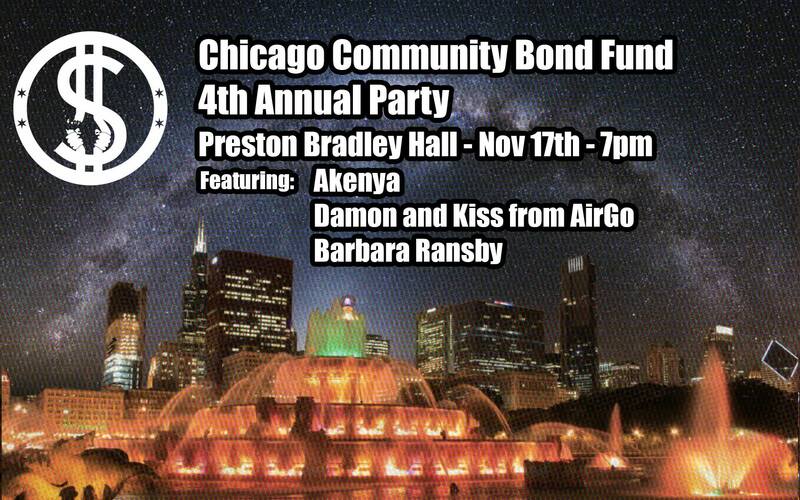 Join Akenya, Damon and Kiss from AirGo, Barbara Ransby and us on November 17th!